First of all, let me say that if you’re here because you're going to the Hong Kong Rugby Sevens or one of the other International Rugby Board tournaments and are worried you won't understand the game, relax. The event is as much about the party atmosphere and the alcohol as the tries and scrums. That said, you’ll have more fun if you know why everyone is running around and clattering into each other. 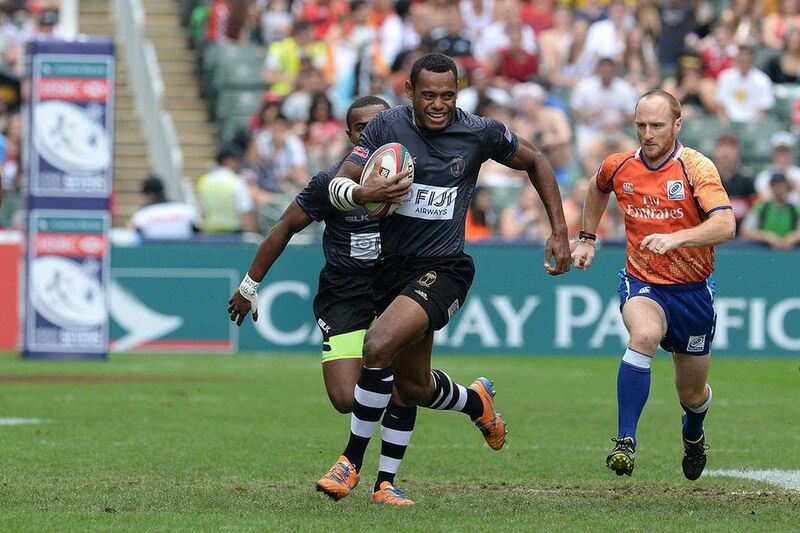 Most of the rules in rugby sevens are the same as in full rugby union, where there are fifteen players. In brief, you score seven points for placing the ball down over the try line and two points for the subsequent kick through the upright posts and you receive three points for a penalty kick. You cannot pass or throw the ball forwards but you can kick the ball forwards. All of these rules and the scoring system apply in rugby sevens. There are, however, several key adaptions in rugby sevens rules. Designed to be a faster, free flowing game with less emphasis on power or tactical kicking and more on speed, running and passing, the amendments below are what make the game so explosively enjoyable to watch. Whereas a rugby union team plays with 15 players, sevens has just seven players on each team. The teams are comprised of three forwards and four backs, although even the forwards, traditionally the heavyweights in rugby, are comparably slim line in sevens. Games are played in two seven minutes halves with a single minute for half time. Final games are played over two 10 minute halves with a 2 minute break for half time. The short time for the game is designed to encourage attacking play. Conversions after a try are taken as a drop goal rather than a place kick and must be taken quickly – within 40 seconds. Yellow carded players are sin binned for just two minutes, rather than ten. Line outs and scrums are far less important and usually contested by just two or three players. Teams are allowed to make a total of three substitutions, from a choice of five replacements. And that’s it. Pretty simple – which is part of the attraction of rugby sevens; the rules are easy to pick up and the game is easy to follow. Whereas full rugby has a long list of rules at the breakdown (when a player gets tackled) or during the constant kick for territory there is relatively little of that in sevens. Instead, there is a lot of open space and players are encouraged to use it; long, drawn out breakdowns are unusual, as are penalties. The ball is reused quickly. There is very little kicking – which in some peoples opinion is why sevens is so enjoyable – because the shortness of each half means if you kick the ball away you run the risk of not winning it back. The players are usually fast as well. In fact some Sevens players have come close to Olympic speeds when running over 100 metres. Expect lots of short bursting runs down the pitch.